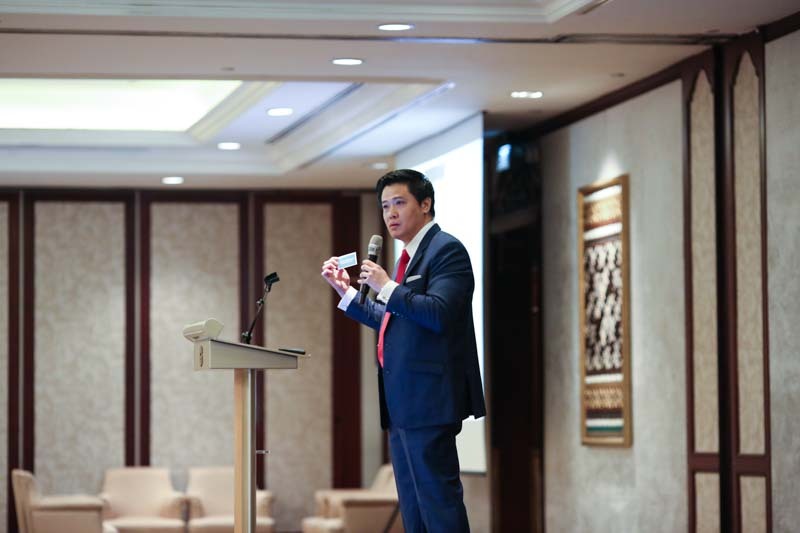 Mr. Sebastian Foo, eGovernment Advisor & Senior Consultant, The World Bank, was the opening keynote speaker at the Indonesia OpenGov Leadership Forum 2017 held in Jakarta on March 22. OpenGov finds out more from Mr. Foo about his background in e-Government work and doing e-Government development work in countries like Myanmar and parts of Africa. Could you tell us about your role as an international egovernment consultant at the World Bank Group? I have the good fortune of working as a senior e-Government consultant to the World Bank to develop digital government strategies that are aligned with and accelerates the realization of the country’s national socio-economic priorities. I am humbled by the opportunities given to mentor several governments&apos; e-Government units to aid in e-Government project design and implementation. What are some of the projects/initiatives that you are working right now? Besides being engaged by the World Bank, I am also working for the Singapore Cooperation Enterprise as well as consulting for African governments. The current engagements include developing and overseeing digital socio-economic strategies and initiatives for Afghanistan, Bangladesh, Cambodia, Mongolia, Myanmar, Tanzania and Uganda. These on-going engagements have given me a wide spread view of how to strategize, design and deliver visible outcomes under challenging circumstances through creative use of technology. Having an important role in setting up eGovernments in countries like Myanmar and parts of Africa is something not commonly heard of, could you tell us about how the experience was like and what were some of the challenges faced? Being engaged in e-Government in countries like Myanmar and Eastern African countries has been most enlightening. While I add value to the governments’ e-Government agenda, I am also learning so much at the same time. Challenges faced aren’t that different in nature as compared the more developed countries, the difference usually lies with the degree of the challenge. Let me give you an example, most governments recognize the need to build capacity. For many of the developed countries, the level of information communication technology (ICT) knowledge is fairly high. This is not the case for the mentioned countries, where the capacity is extremely low. Many senior stakeholders have no muscle memory of what e-Government can do, hence there is a need to first communicate the value proposition of e-Government in simplistic terms, this is followed by establishing a foundational ICT curriculum focusing on the basics. You have almost two decades of experience relating to eGovernment in both private and public sectors, could you share about some recent trends in eGovernment development in the ASEAN region? In the past few years, there has been a wave of technologies that have finally reached a tipping point where these technologies have become commercially viable, practical in applications and are result-proven. These technologies include Cloud computing, Internet of Things, Artificial Intelligence, Big Data analytics, wide spread mobility, broad based social media platforms, advanced algorithms and more. What is truly exciting is the confluence of these technologies and with correct applications of these technologies, we now have huge opportunities for the government to accelerate its public policy implementations to create positive impact to its constituents. Opportunities range from the way electronic services can be designed to address the pressing needs of the citizen, the way citizens can use the electronic services to voice their concerns, the interactions between citizens and their living environment, the way government agencies can collaborate better, the way the industries can be transformed for greater productivity, and the way data collected that can be analysed to solve some of the most pressing urbanization issues. However, this confluence of technologies also brings about challenges to the government. Many jobs will be displaced as a result of automation and robotics. It is imperative that governments must plan for this displacement as part of an overall strategy, through proactive skills upgrading so that citizens can embrace these opportunities and raise their standard of living. What are your thoughts on public-private partnerships (PPPs) in the current context of technological and digital disruptions? Did you notice any changes in PPPs in the course of your career? PPPs are an important ‘tool’ for e-Government and Smart City implementations. While technologies have changed over time, the principles remain fairly robust and consistent. Government leaders should avoid viewing PPPs as a means to secure easy funding. Constructing a PPP model is an extremely challenging and time consuming endeavour. While there are successes, there are plenty of failures too. It is akin to two individuals agreeing to be married. PPPs should be viewed beyond the financial standpoint, with more emphasis placed in tapping on the private sector’s technical, management and operational expertise for public service delivery.